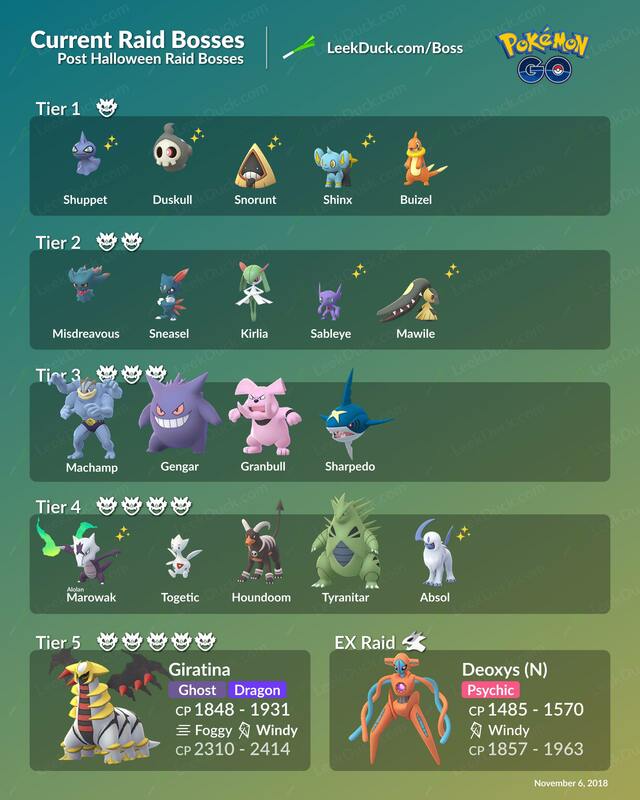 These are the Raid Bosses for Pokémon GO Post Halloween 2018. This is the Halloween Raid Pool with the addition of Buizel and the chance of Alolan Marowak being Shiny. They were added on October 06, 2018.